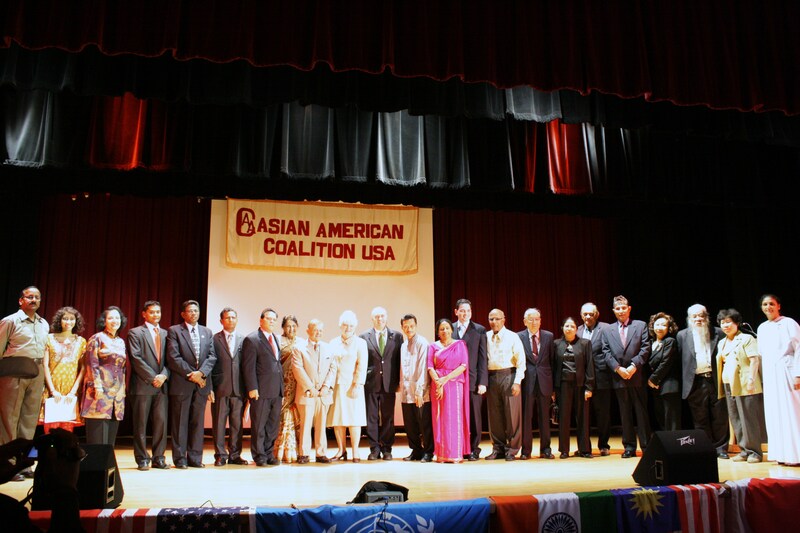 On September 18, inductees to the 2010 AACUSA (Asian American Coalition USA) Inc. Hall of Fame Awards were announced during a ceremony held at the Hindu Temple Community Center Auditorium in Flushing, New York. 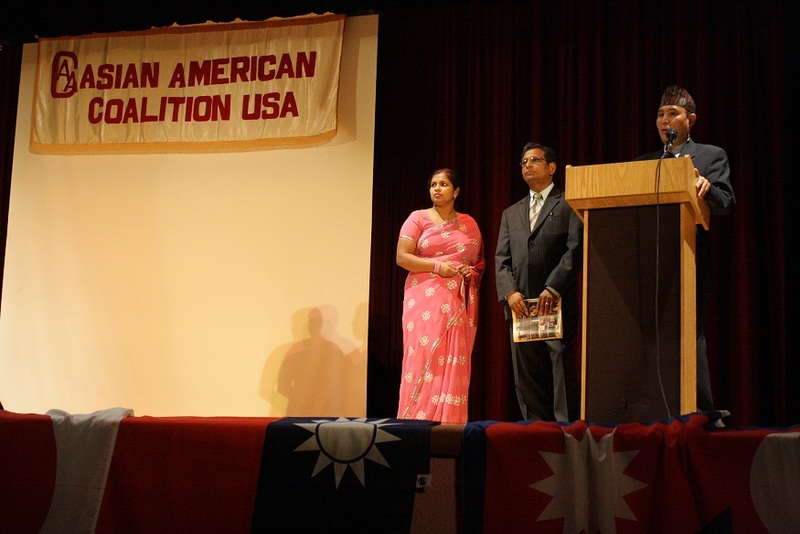 Organized in its second season, the event which commemorated the group’s Fourth Cultural Extravaganza, honored seven outstanding individuals within their respective Asian communities. An Indonesian born revered Quran scholar was recognized for his relentless dedication and contribution to interfaith outreach. The President and founder of AACUSA Inc., Dr. Parveen C. Chopra, acknowledged the soft-spoken 43-year-old Imam as “close friend, a person of integrity and inspiration to Asian Americans” who plays active roles in fostering greater understanding about Islam, particularly post 9/11 when Muslim Americans face tougher challenges to mounting anti-Muslim rhetoric; and as recent as debates over the Park 51 project near Ground Zero, amidst mid elections year which has ignited fear mongering beyond hatred and intolerance. Mr. Chopra added that Imam Ali has reached across the division and became part of the Muslims’ voice at the United Nations forums, churches, synagogues, the NYPD, FBI and major news outlets including, ABC, PBS, BBC World, CNN, Fox News, National Geographic, Al-Jazeera and the Hallmark Channel Imam. A visible face of Islam, Imam Shamsi Ali has held multiple high level positions throughout his 14 years of residing in New York. Currently, he is the Imam at the Islamic Cultural Center of New York, which is the city’s largest mosque located in 96th street Manhattan, where he leads congregation of Friday prayers. He is also the Director of Jamaica Muslim Center in Queens. Well known in the interfaith circles, Imam Ali serves as an Advisory Board member to the Tanenbaum Center and Federation for Middle East Peace. He is Chairman Board of Trustees for the Asean Muslim Federation of North America, board member for the Partnership of Faith in New York, as well as, cofounder of the UNCC (Universal Clergy Coalition-International). Last year, Imam Ali joined ranks of former boxing heavyweight champion Muhammad Ali, six former US presidents and Nobel Prize winners when receiving the 23rd Ellis Island Medals of Honor Award 2009. 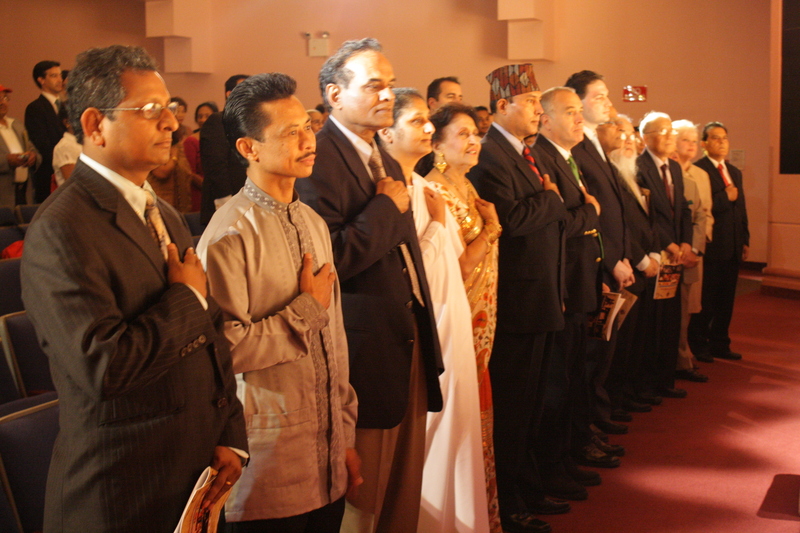 This prestigious non military gold medal award ceremony, which is sponsored annually by the National Ethnic Coalition of Organizations (NECO), pays homage to the America’s cultural mosaic; and is the highest recognition given to influential immigrants in making great impacts to the lives of others through compassion and philanthropy. In the past, Imam Ali participated in the 2006 International Conference of Imams and Rabbis for Peace in Seville Spain, and the first National Summit of Imams and Rabbis of North America in 2007. He represented the Muslim community at an interfaith discussion on Religions and Sustainable Development at the White House in 2007, and participated in the 2008 Transatlantic Interfaith Dialogue in Frankfurt, Germany. Furthermore, He was among a few religious leaders invited to accompany the then President George W. Bush at the wreckage site of World Trade Center, and, represented his community during the “Yankee Stadium Prayer for America” with former President Bill Clinton and wife, Hillary Clinton. Imam Ali was appointed “Ambassador for Peace” by the International Religious Federation in 2002, and a recipient of the 2008 ICLI Interfaith Award. In 2006, he was named one of seven most influential religious leaders in New York City by New York Magazine. He was also chosen as one of the 500 most influential Muslims in the world by the Royal Islamic Strategic Studies Center in Jordan and Georgetown University. Fluent in both Arabic and Urdu, Imam Ali obtained his BA in tafseer from the International Islamic University Islamabad-Pakistan in 1991; an MA in comparative Studies of Religions from the same university in 1994. He was raised in Bulukumba, South Sulawesi, Indonesia; and currently resides in Jamaica, Queens, with wife Muthia and five children. 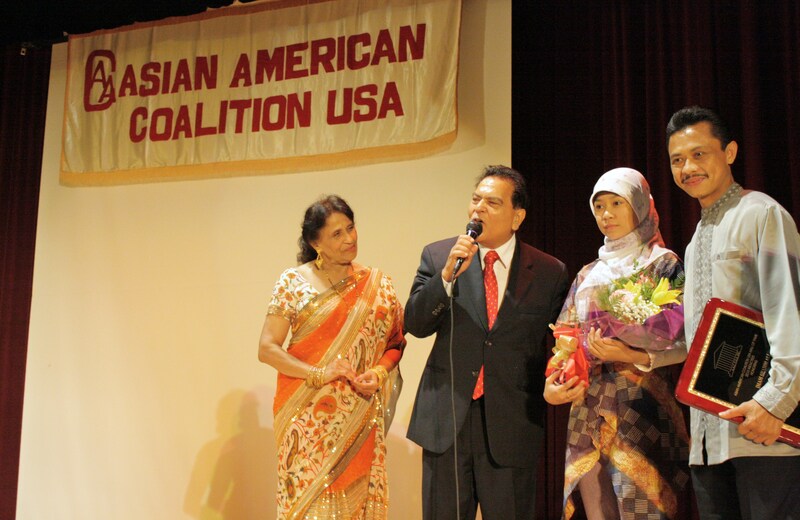 Since 1988, the AACUSA Inc. promotes awareness of Asian cultural identities and integrates voices of local communities into mainstream America through social services, education and economic assistance. The organization which is an umbrella of 14 Asian country members, from India and Bangladesh to Nepal and Taiwan, established the Jackson Heights Merchants Associations in 1988 and the Flushing Merchants Association in 1989. Among the inductees was Dr. Binod P. Shah, Assistant Professor of Rehabilitation Medicine at Albert Einstein College of Medicine from Nepal, for his contributions to assisting flood victims in Dhaka Bangladesh and Nepal, as well as, providing free health camps for immigrants and underprivileged in Queens. 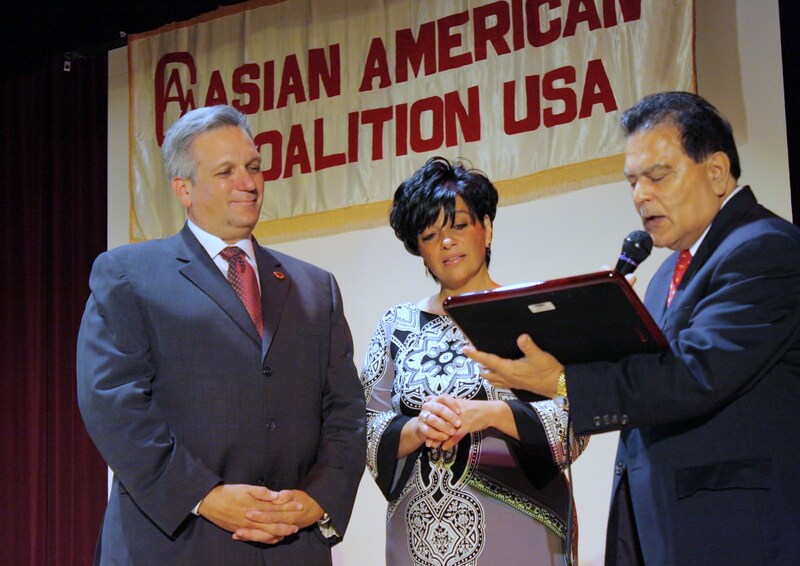 A Lifetime Achievement Award was given to the Honorable Edward P. Mangano, an American born Nassau County Executive for serving his community of 1.3 million people through jobs creation and tax reduction. ~ by arita on September 26, 2010. INPUTS ARE HIGHLY APPRECIATED ~~ Thanks!